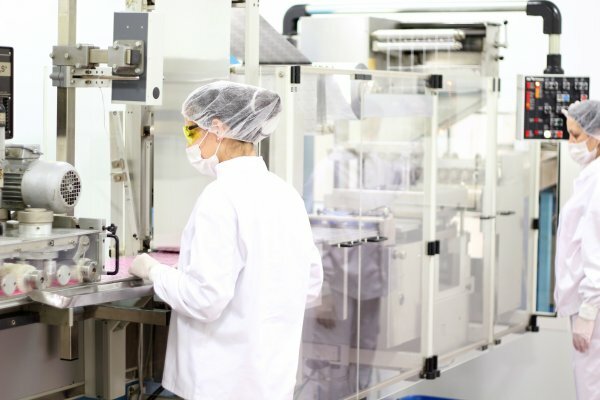 Researchers, industry and government have combined to invest over $10 million in cash and in-kind funding towards the creation of the Australian Research Council (ARC) Research Hub for the Advanced Manufacturing of Medical Devices. The hub has been established to support the ongoing competitiveness of Australia’s annual $10.8 billion medical technology industry. The hub was launched at Cook Medical in Brisbane yesterday. Speaking at the launch, ARC CEO Professor Sue Thomas highlighted the importance of advanced manufacturing to Australia’s economic future. “This Research Hub’s industry-focused research collaboration will develop new, advanced materials and processes that will not only lead to tangible health outcomes for Australians, but also drive new technologies and skills that are vital for the competitiveness of Australia’s medical devices industry,” said Professor Thomas. UQ Vice-Chancellor and President Professor Peter Høj said one goal is for the hub to create better health outcomes for patients in Australia and around the globe. “One of the intended outcomes is to reduce the time it takes to design, manufacture and supply custom-made medical devices such as endovascular stent grafts for patients with aortic aneurysm – an increasingly common condition that currently has post-rupture survival rates of only 10 to 20 per cent. “It’s an exciting venture with lots of potential, and we look forward to celebrating the results,” said Professor Høj. Cook Medical Australia along with the University of Queensland and other partners are investing over $10 million of cash and in-kind funding, including a $2.8 million contribution over five years from the Australian Government through the ARC’s Industrial Transformation Research Hubs scheme. General manager of Cook Medical Australia, Dr Samih Nabulsi, said the hub will make a significant contribution to the local medical device industry and has the potential to increase export opportunities. “Research and industry partnerships are key to increasing the translation of new technology in the medical device industry and growing workforce capability," said Dr Nabulsi. “The AMMD Research Hub will result in increased growth opportunities for the sector which, in turn, translates into more jobs and increased global market share for Australian manufactured medical technologies. A number of research projects are already underway, across lean manufacturing, design and materials, adaptive automation systems, digitisation, metallic biomaterials, ergonomics and collaborative robotics. The model includes embedding and integrating the research teams into industry facilities.